Toyota will unveil the concept of a very fast Yaris hybrid at the Frankfurt motor show next month. This Yaris Hybrid-R brings a first for a Toyota hybrid, a very muscular gas engine. It’s new because until now, in every Toyota hybrid, the gas engine was highly optimized for very low fuel consumption, and nothing else. The engine in the Prius is the best example. It’s a 1.8-liter but it’s making less power and torque than a good 1.4-liter. The choice of the Atkinson cycle is responsible here. It sure makes the engine more fuel-efficient, but it also reduces power. The first electric motor is next to the gas engine, it only works as a generator. The two rear motors are more interesting, making 60-hp each. Their best feature lies in the electronic brain that controls them, as it can alter the distribution of torque between the left and right rear wheels. 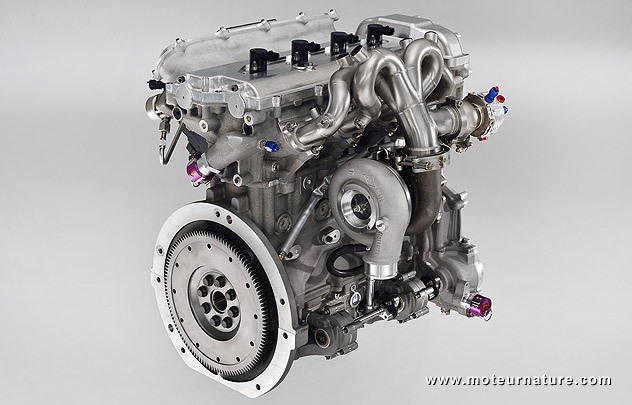 We shall think of it as an intelligent torque vectoring differential. In an extreme situation, on a sharp turn, it can make the outside wheel send power to the road, while the inside wheel will act as a generator. 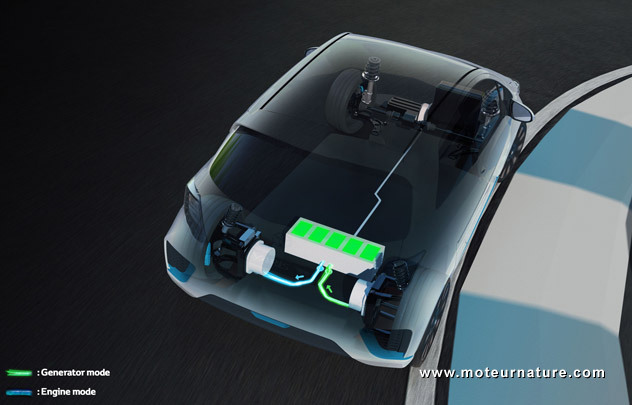 Then the Yaris Hybrid-R uses supercapacitors for electricity storage. They’re faster than batteries, but they can’t store much energy. Driving pedal on the floor, the rear motors will only deliver their maximum 60-hp for five little seconds. It doesn’t sound like much, except when you remember that the Toyota Yaris is a city car. No driver shall need the full 420-hp of this green little rocket for more than five seconds in the city.